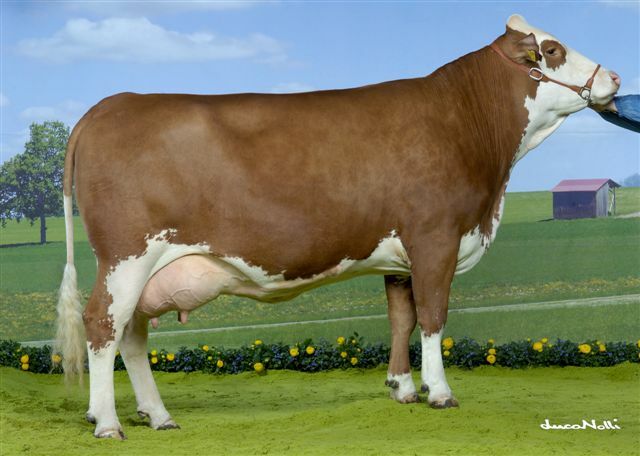 World wide there are more Simmental/Fleckvieh cattle than any other Bos Taurus breed and are second in number only to Bos Indicus Braham. 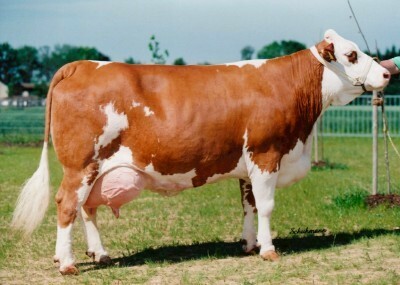 As a dual purpose animal the Fleckvieh/Simmental is second to none. 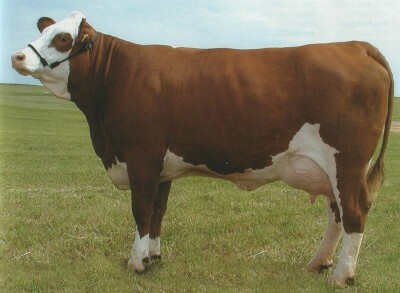 We at Karova are endeavouring to introduce the Fleckvieh cow into the dairy herds of Australia. Todays' deregulated dairy industry has made it a struggle for most farmers to survive by concentrating on one trait only, that being milk. For the modern dairy farmer to survive maximum returns from each animal must be guaranteed. This viability must start from conception right through to the meat on our supermarket shelves. No longer does milk quantity ensure profitability. To be economic, todays' dairy cow must be Fertile, have a short intercalving period, must calve unassisted, have good body and udder health, return a good price for the cull bull calf, have a good supply of milk with high components, have a long productive working life, be a good feed converter and at the end of her time return a top price for the cull value of the cow. 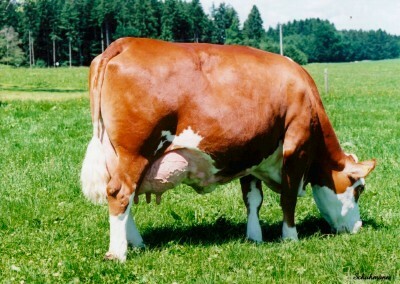 Fleckvieh cows are leaders in the above traits and are born to be ECONOMIC. Join the Worldwide Fleckvieh revolution and be a LEADER!! Here are some examples of Dual Purpose Fleckvieh cows.